DETECTIVES investigating a vehicle raming, drive-by shooting and police chase on the Gold Coast have arrested and charged a man following a raid on a house at Upper Coomera. Officers showed up at the northern Gold Coast home and arrested the 24-year-old on Tuesday morning. Police raided the property as part of investigations into a vehicle ramming and firearms incident at Mermaid Beach on Monday, and a drive-by shooting in Currumbin Waters later that night. It’s alleged a red Volkswagen Golf carrying two men boxed-in a couple’s car at the intersection of Heron Avenue and the Gold Coast Highway in Mermaid Beach about midday on Monday, before ramming it. One of the men in the car then allegedly pulled out a gun and pointed it at the terrified occupants, a man and a woman aged in their early 20s, before driving off. Police said the victims did not know the men. 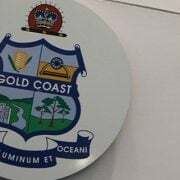 Later that night, about 7.30pm, the same Volkswagen Golf drove to a home on Judeller Road at Currumbin Waters where a person from inside the vehicle fired two bullets into the house. A 27-year-old man and other occupants were home at the time of the incident but were uninjured, police said. A front window and an internal wall were damaged. 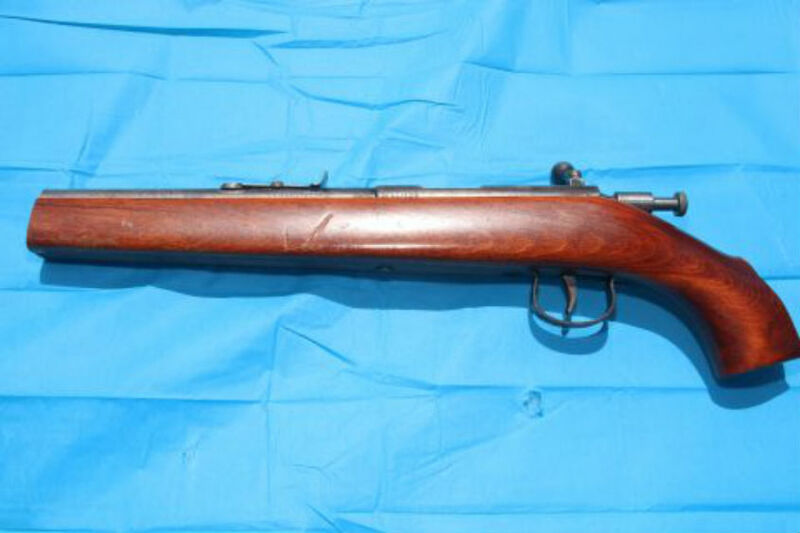 During a search of the Upper Coomera property yesterday, police allegedly seized a shortened .22 calibre rifle (pictured), ammunition, an extendable baton, and drug paraphernalia. 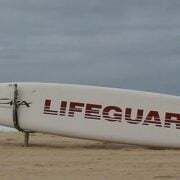 A 24-year-old Surfers Paradise was arrested and has since been charged with a long list of offences, including possessing a firearm in public, possessing a weapon, and possessing explosives. He was also charged with failing to take reasonable care with respect to a needle. The man was due to appear in Southport Magistrates Court today. Shortly after the man’s arrest, the red Volkswagen Golf involved in Monday’s incidents was spotted by police at Tallai. Polair tracked the vehicle from the air as it was driven across the Qld-NSW border. NSW Police eventually managed to intercept the vehicle after deploying road spikes near Tweed Heads. Police said the driver of the Golf, a 21-year-old man, lost control and crashed after swerving to avoid the stingers. Police allege the Volkswagon was unregistered and said the 21-year-old man behind the wheel had never held a license. He and a 27-year-old male passenger were arrested at the scene. Police said officers needed to use capsicum spray to subdue the older man after he became aggressive. He was also allegedly found to be in possession of a knife and a stash of pills believed to be prescription painkillers, police said. A woman was also removed from the vehicle following the crash and was last night assisting Queensland Police with their inquiries. Both men were taken to Tweed Heads Police Station before the older man was taken to Tweed Heads Hospital for treatment to minor injuries. The driver has since been charged with police pursuit – not stop – drive dangerously, never licensed person drive on road, use uninsured motor vehicle and use unregistered vehicle. He was remanded in custody and was refused bail in Tweed Heads Local Court today. 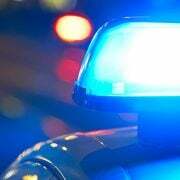 His ‘aggressive’ passenger is charged with resisting an officer in the execution of duty, carrying a cutting weapon upon apprehension, and possessing a prohibited drug. The 27-year-old man was released on bail and due to appear at Tweed Heads Local Court next month. Investigations continue into the three men’s alleged involvement in the firearm offences.